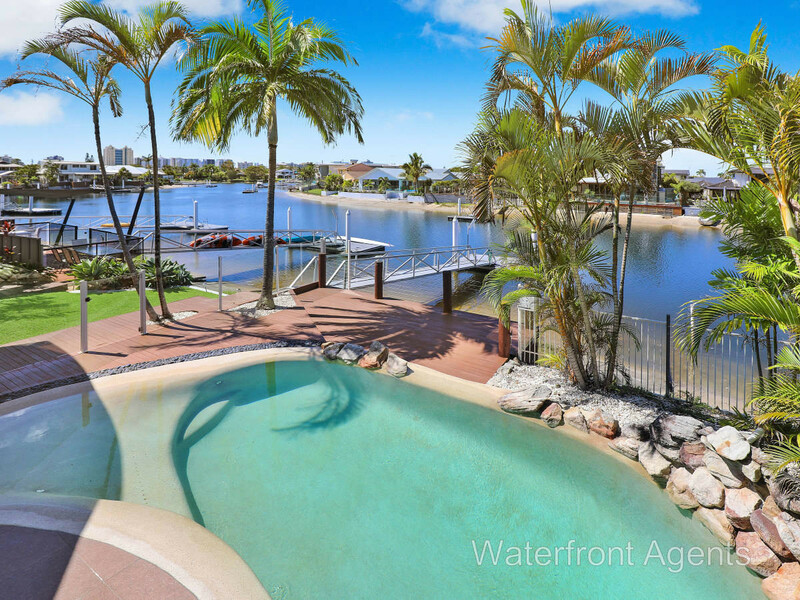 You’ll love living and entertaining at 8 Balyarta Crescent, Mooloolaba. 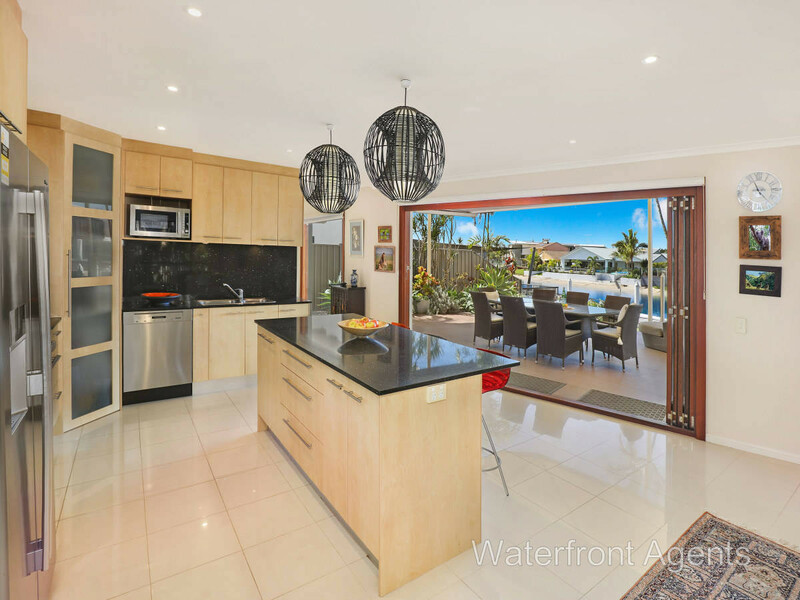 With glorious water views to the north east taking in the Mooloolaba skyline, this single level four-bedroom home has a modern coastal feel that embraces a waterfront lifestyle, set within close proximity to the magical Mooloolaba beachfront and restaurant precinct and positioned with safe, easy access to the harbour entrance and the Pacific Ocean. 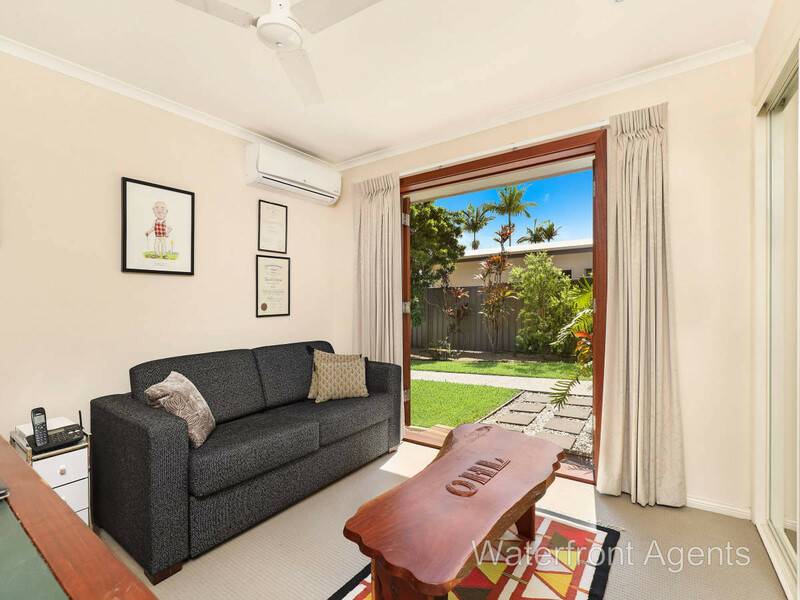 Step inside the surrounds of this peaceful property to be greeted by greenery and landscaped gardens. 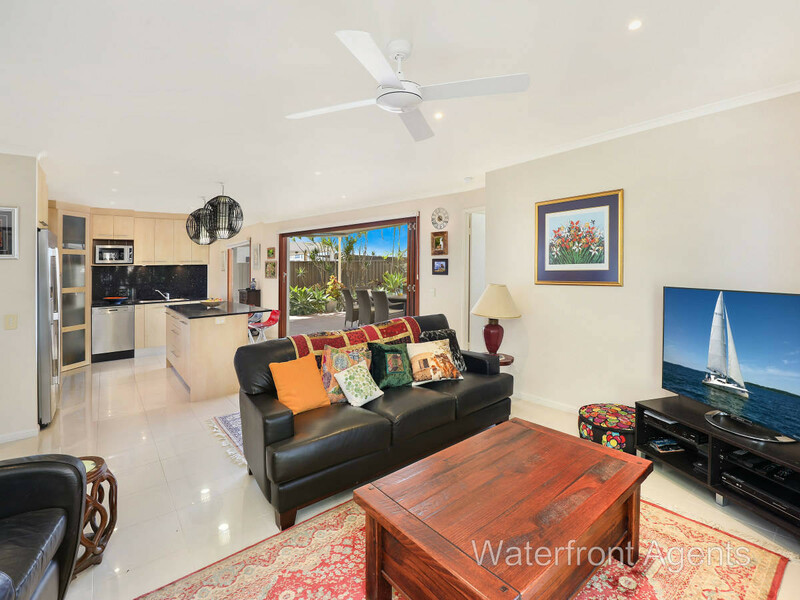 As you enter the home, you will be captured by a picturesque view of the waterfront and gardens in the dining/living room setting. 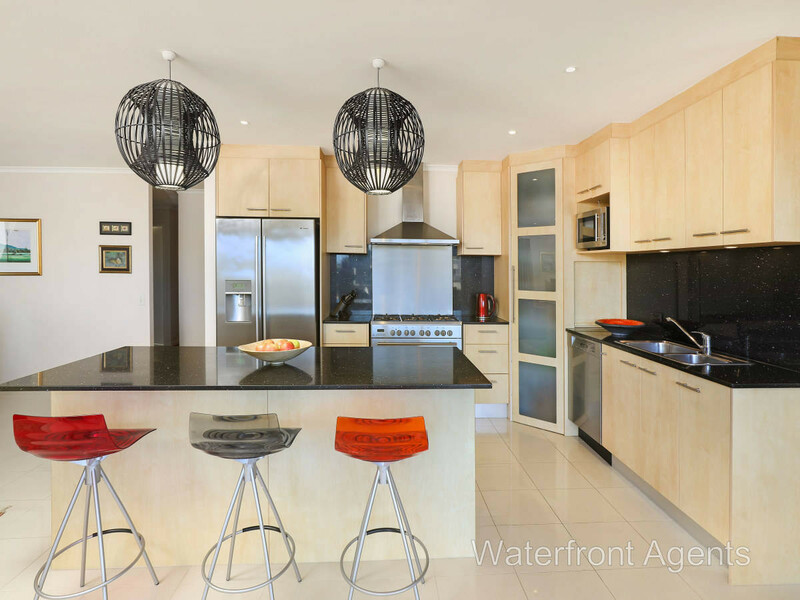 The central kitchen combines quality appliances, including 900mm oven, 6-burner gas cook top, stainless steel rangehood, glistening stone benches and an island bench with a breakfast bar. 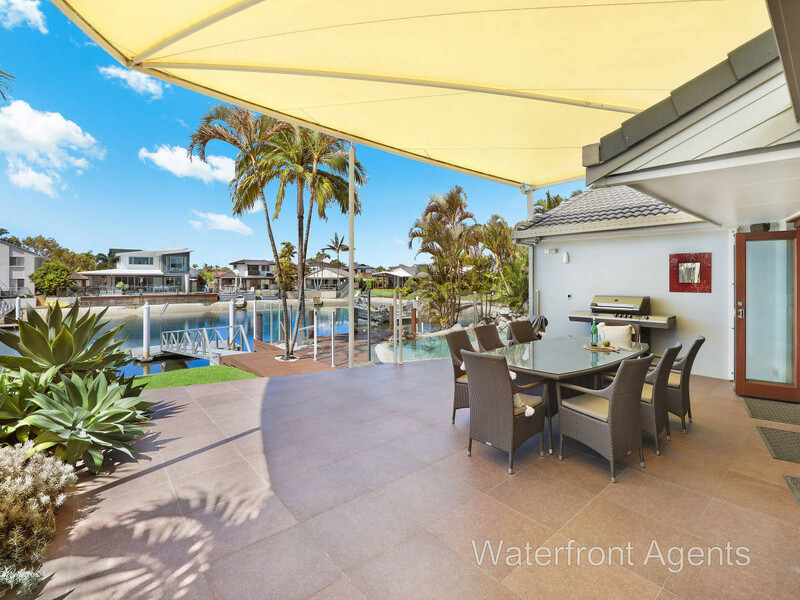 The lounge and kitchen areas open with bifold doors to a wonderful outdoor living space featuring a generous covered and tiled entertainers’ patio where the family can come together to simply enjoy each other’s company and the waterway beyond. 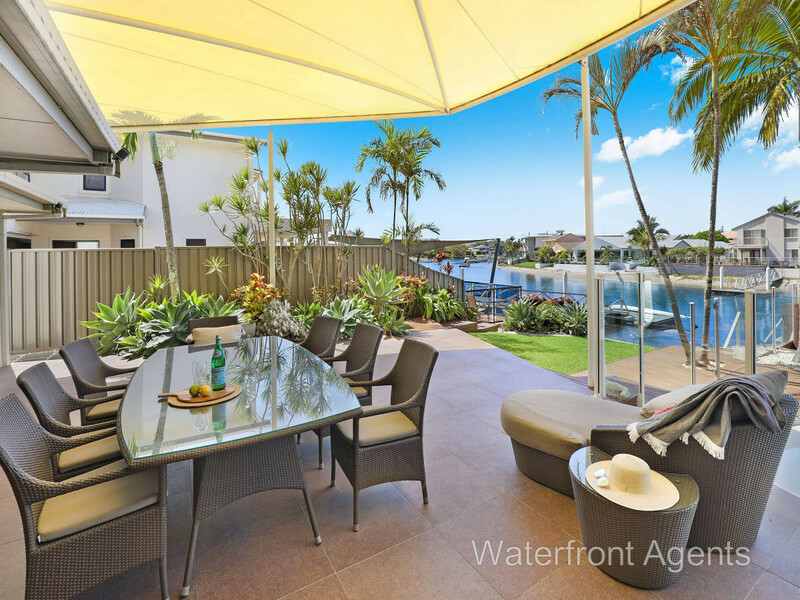 Whether you’re dining alfresco or lounging by the pool you will utilise this outdoor entertaining space all year round with decked areas and lush surrounds and places to sit in the winter sun and summer shade. 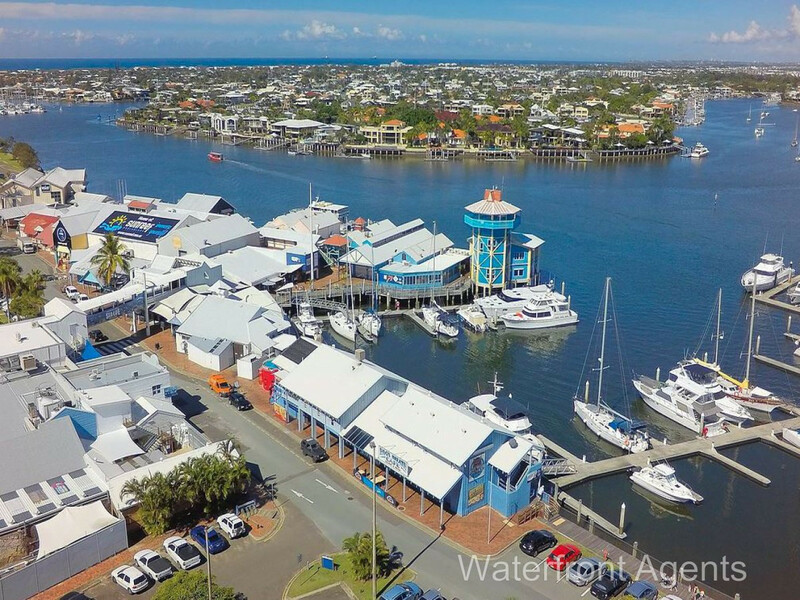 There is a solid pontoon to moor your boat at home, and family fun awaits exploring the beautiful waterways on kayak or paddle board from your doorstep. 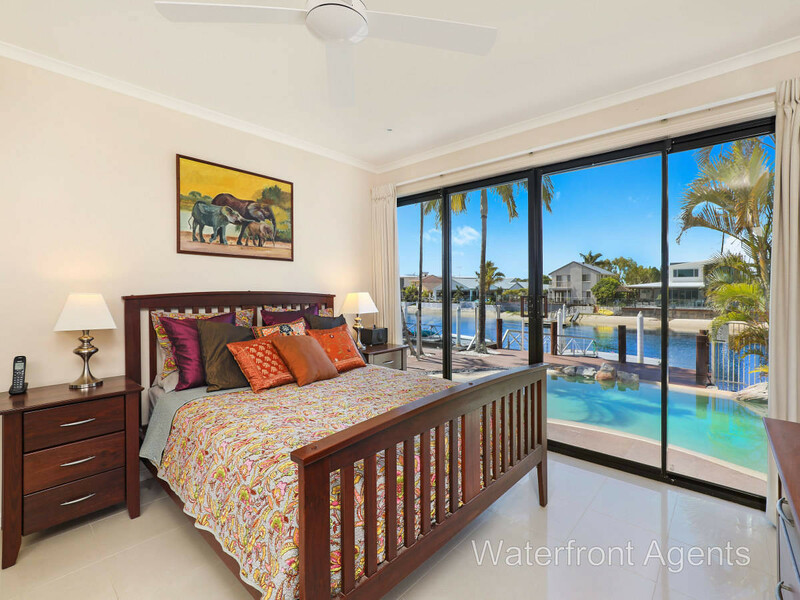 The ensuited master bedroom with walk-in robe overlooks the tranquil pool area to the waterfront and a further three bedrooms with built-ins are located close to the main bathroom with corner spa bath. 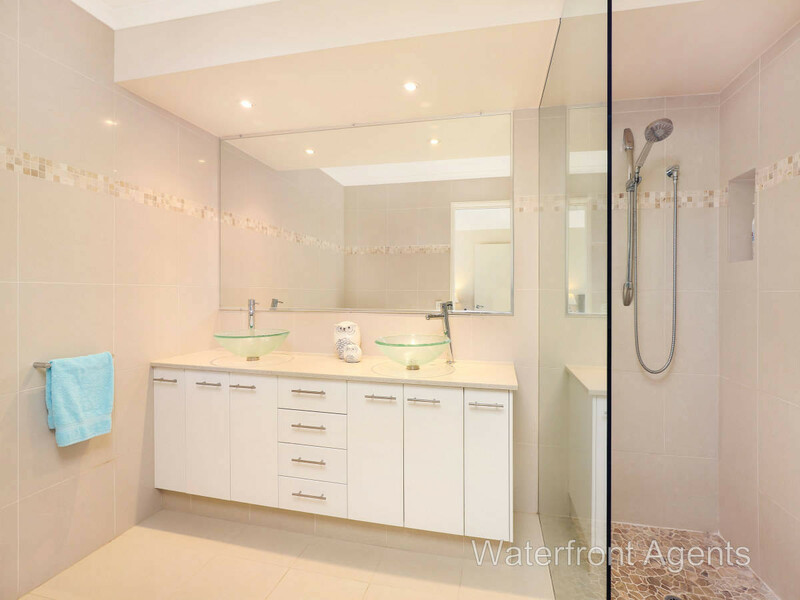 All bathrooms are stylish with neutral tones, glass basins and stone counters. 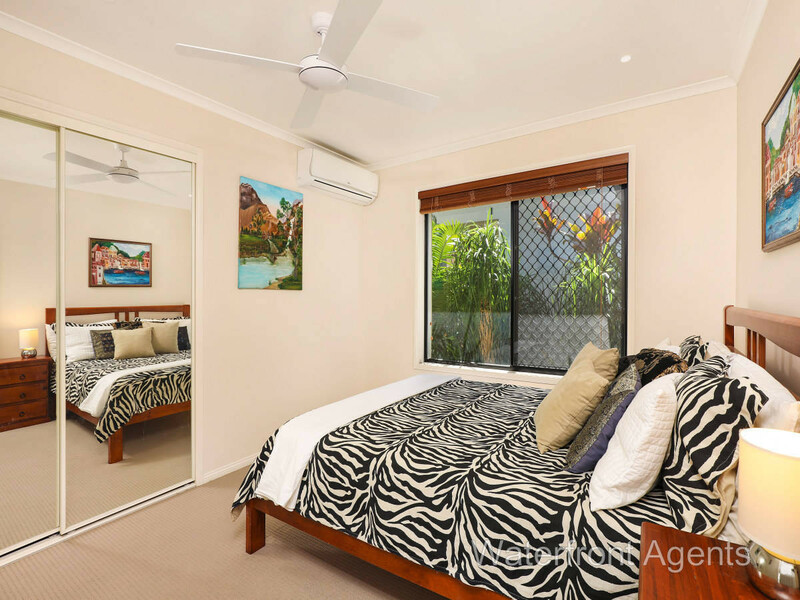 The fourth bedroom is currently used as an office and opens with timber doors to let fresh air and garden views inside. 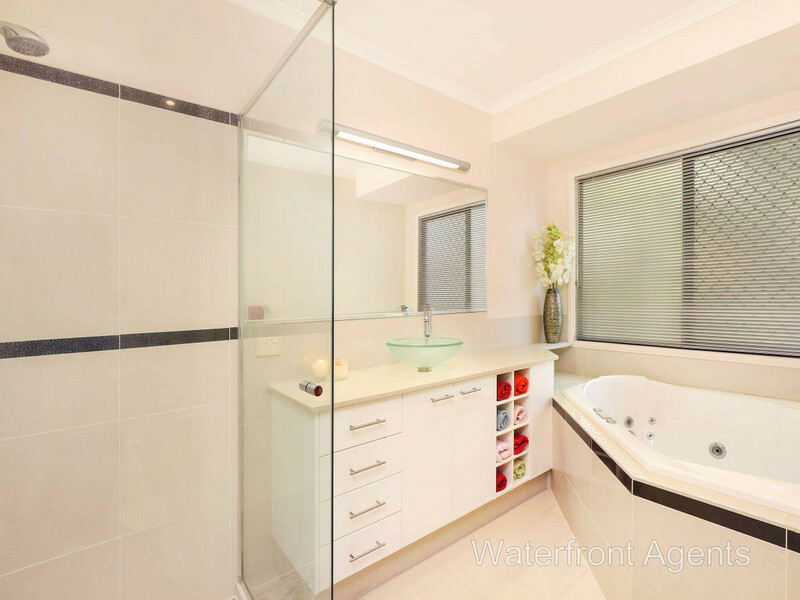 Some features include fans, split air-conditioning systems and tiles throughout, carpets to three bedrooms, 1.5Kw solar power, solar hot water, internal alarm system with back to base monitoring and intercom system. 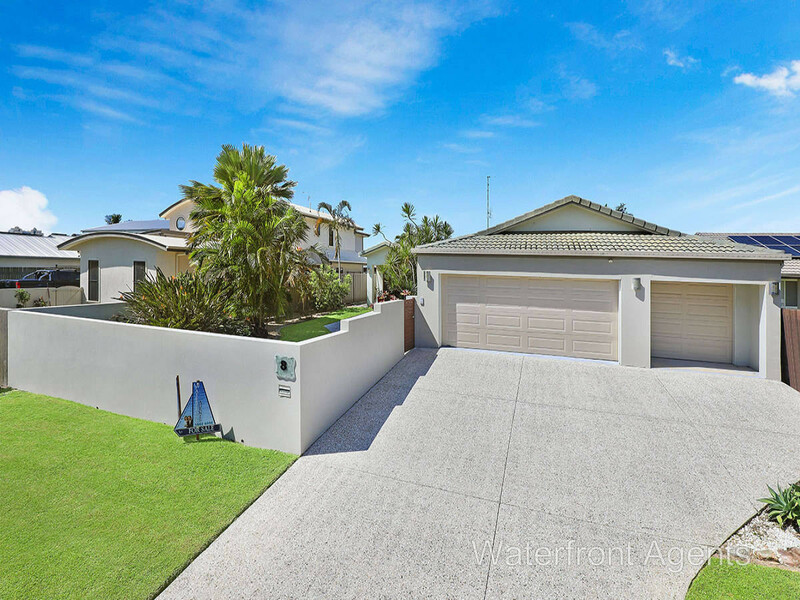 Set on a 736m2 allotment, the home is rendered with front fencing that adds to the street appeal with triple lock-up garaging and room for a further two vehicles off-street. 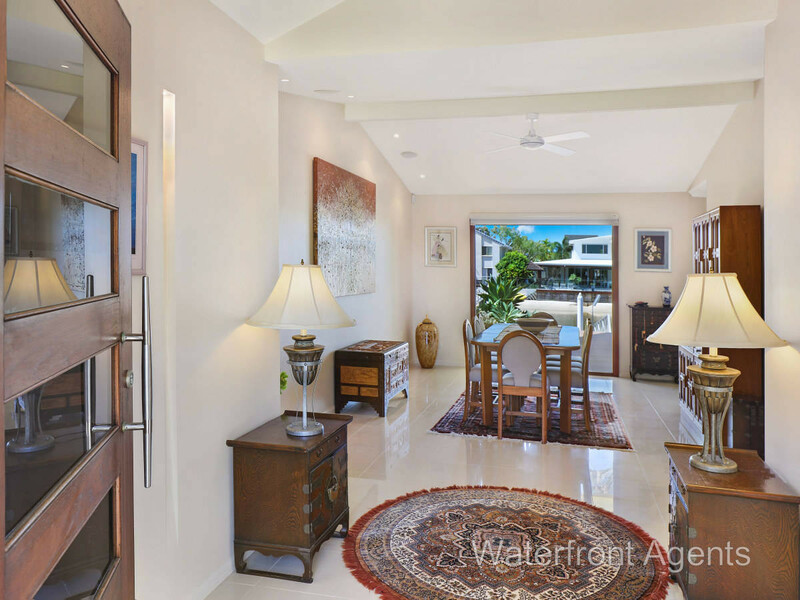 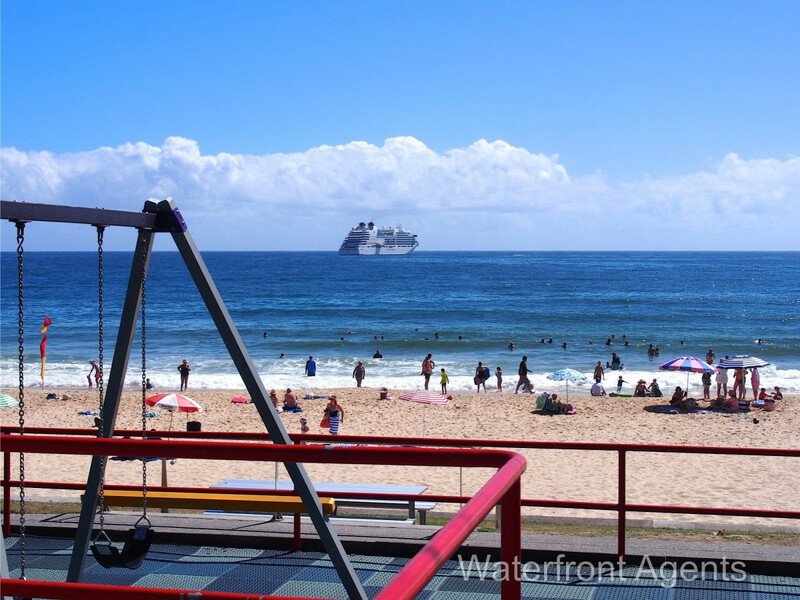 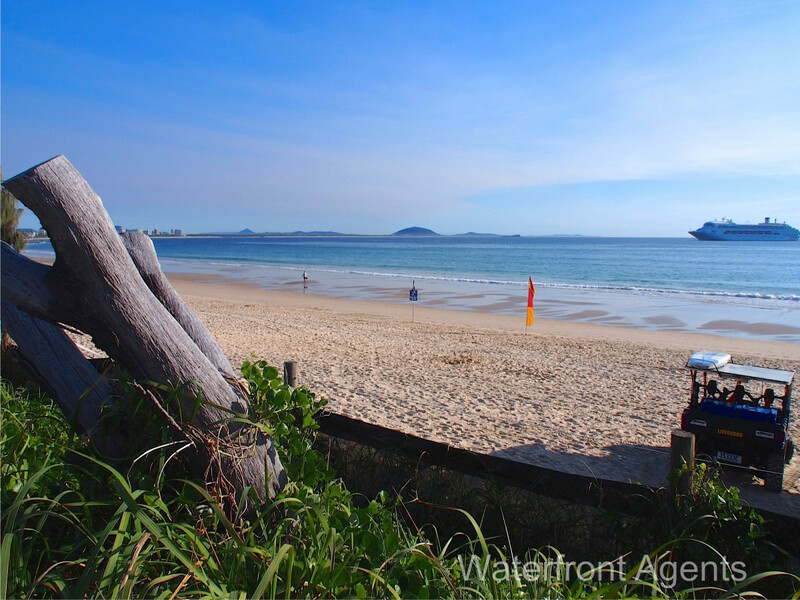 This is a quiet and convenient location within walking distance of the Mooloolaba beachfront with patrolled beaches, shops, cafés, clubs and restaurants. 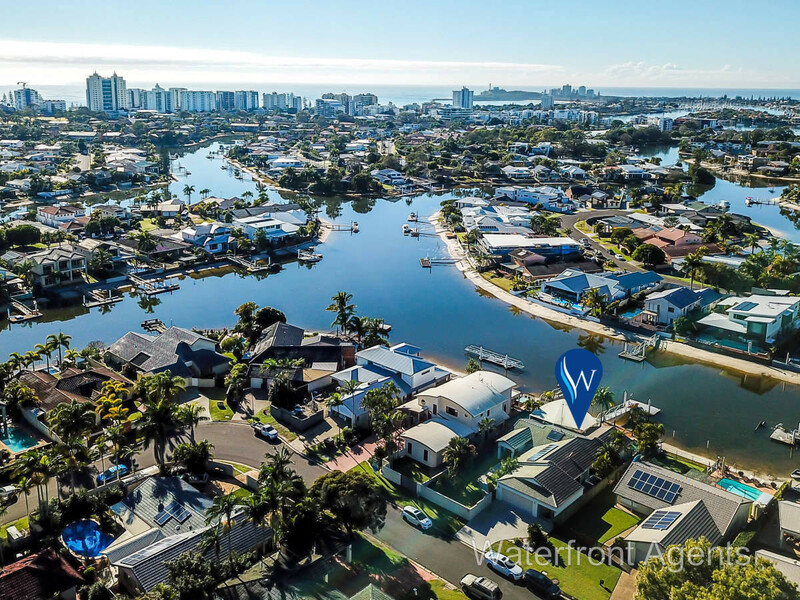 There are cycle tracks, first-rate schools, TAFE, Sunshine Coast University and the new Sunshine Coast University Hospital precinct all nearby and it’s only 15 minutes to the airport and one-hours’ drive to Brisbane International Airport.